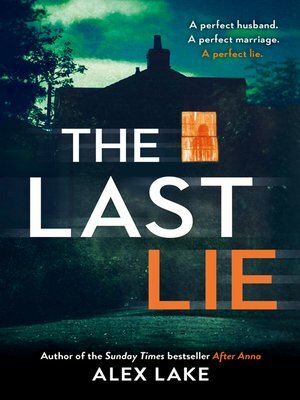 The twisty new psychological thriller from the Sunday Times bestselling author of After Anna, Killing Kate and Copycat Everyone lies...but some lies are deadly. For Claire Daniels, life is good. She has everything she's ever wanted – a career she loves, friends she can rely on and a husband who dotes on her. All she needs is to start a family of her own and things will be even better than good. They'll be perfect. For Alfie, it couldn't be more different. His life with Claire is built on a lie. A lot of lies. And she can never find out. Because Alfie has plans for her. Plans which must never come to light. But lies have a way of taking on a life of their own, and when his do, the consequences threaten to destroy everything. For him and Claire.